Bread crumbs are easy to make at home. Homemade bread crumbs taste better and they are also economical. It is used for binding in many dishes like vegetable patties, cutlets etc. It can be used to thicken sauce or as topping to baked casserole. If I have leftover bread, I usually make bread crumbs or croutons or feed the birds and squirrels in my garden. Today we will learn how to make bread crumbs (both fresh bread crumbs and dry bread crumbs) at home following this easy recipe. Use dry or leftover bread. Avoid using stale bread. Preheat oven for 10 minutes at 180 degree C.
Line a baking tray with parchment paper, place the bread in a single layer and bake for 10 minutes or until the bread is completely dry and crisp. Turn them over after first 5 minutes of baking. Make sure that both the sides are well toasted. Once it cools, break the bread into 3-4 pieces and blend it in a mixer or blender or food processor until coarse. If preferred you can flavor the bread crumbs with dried parsley or any spice powder or garlic powder. Alternatively you can make breadcrumbs with flavored bread, if you need flavored bread crumbs. Tawa Method - If you do not have an oven, you can toast the bread both sides (without any oil or ghee or butter) until crisp. Blend it coarsely once it cools. Sun Drying Method - My mother used to dry the bread slices in the sun well for 2 or 3 days until all the moisture is completely dried out. Then powder it coarsely in a blender or mixer. Store it in an air tight container or ziplock bag in the freezer. It stays good for 3-4 months in the freezer. If a recipe calls for fresh breadcrumbs, do not use this dry breadcrumbs. Fresh breadcrumbs can be made easily at home. Cut the corners of the bread (white or brown) place it in a ziplock or freezer bag and keep it inside the freezer. Once frozen, break it and blend it to powder or grate it using a grater. Storage for fresh breadcrumbs - Store it in a ziploc bag or air tight container in the freezer. Use it within 2-3 days. 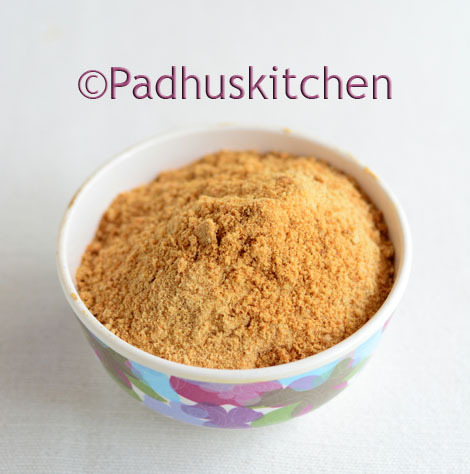 Can I store dry bread crumbs in fridge, Padhu? What wud be the shelf life then? Yes, you can store it in the fridge for 10-15 days.